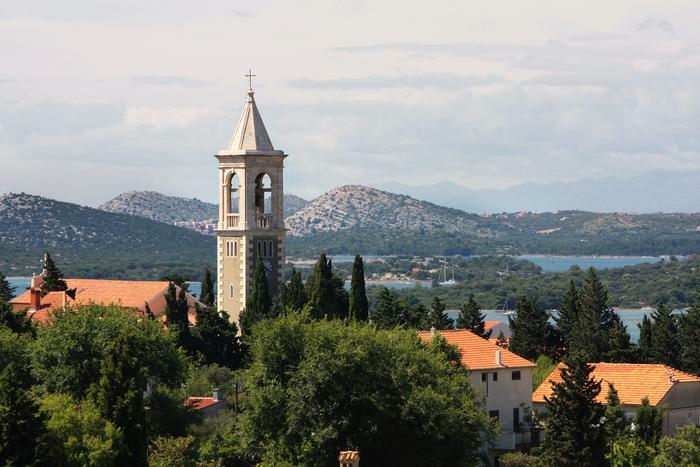 The island of Murter, whose highest point is only 125 meters above sea level, is an island located in the Šibenik area and connected by bridge to the mainland. Murter can be considered as a sort of entrance into the famous Kornati National Park, a group of isles that look like pearls scattered through the sea. More thn five thousand people that live on Murter today are mostly engaged in tourism but have not forgotten their fishing and agriculture traditions. Part of this tradition and culture still lives through numerous events that are organized during the summer season so that tourists can get to know more about the life that was once present on the island. The island has an amazing history and the numerous remains of various buildings from the ancient and medieval times prove that. Murter had different roles. It was a touristic resort at the time of the Roman Empire and the defensive and supervisory fortress during the reign of the Venetian Republic. Despite dynamic history, this is not the place where you will have a dynamic holiday. On the contrary, this island is the perfect place to attain inner peace and enjoy the natural beauties and exploring gastronomic delicacies. Thanks to many events, festivals and the vicinity of the National Park, the island has been enjoying great popularity for the last few years, but it is still a suitable holiday destination because it is still easier to find a quiet corner on Murter than for example in the more famous tourist islands like Brač and Hvar. To get to the island you don't have to stand in line for the ferry because it is connected by a mobile bridge built in the 19th century with a place called Tisno. 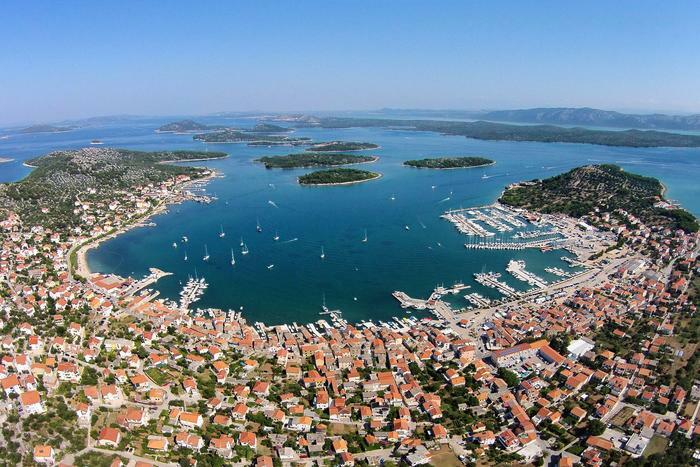 The town Tisno is specific because its administrative half is located on the land and the other on the island. There is another interesting fact about this island, which is that in each of the four places on the island, a different speech prevails. There are some words that are pronounced differently in all places. And what are the sights you should visit if you find yourself on the island? If you like to visit the most important sights in every destination you visit, Tureta fortress is a building you should start your sightseeing tour on Murter. This timeless building was built by Emperor Justinian in the 6th century when the Adriatic sea became an important traffic area again. 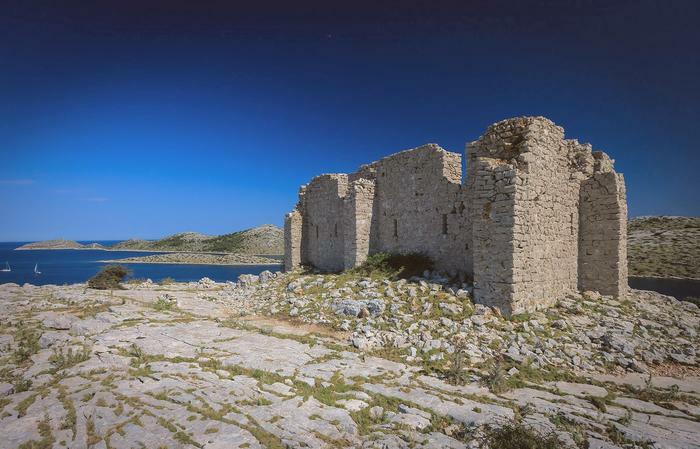 It is assumed that the fortress had a military function, more precisely it controlled the waterway on the Adriatic and it was abandoned in the middle ages. These buildings were part of the very important defensive and surveillance system at that time. Namely, Justinijan has designed the so-called "Litim Maritimus", in other words, a fortification system whose purpose was to protect the waterway, and Turet fortress was a one link in a huge defensive chain. It is special because it is one of the best-preserved remains that faithfully present the ways of Byzantine construction. After a more detailed archaeological study, numerous ceramic remains (such as amphorae) were found in the area. 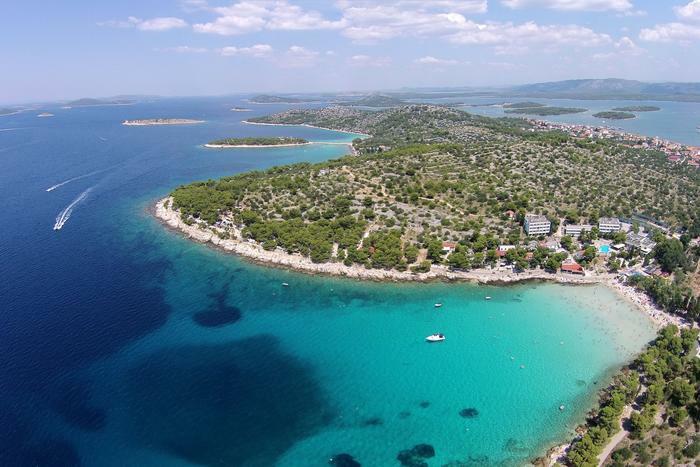 What will surprise you is also a wonderful view of the Kornati Archipelago and the Adriatic Sea. The center of Murter is unique because it managed to preserve a unique historical look until this day. The parish church of the St. Spirit was built in the 16th century and was restored in baroque style in the 17th century and is an excellent example of well-preserved architecture. It is also worth to mention the church of Our Lady of Health built in the style of the Mediterranean Baroque. If you want to find out how life on the island looked like in the past, you should go to Old Mill. It used to be an oil mill where olive oil was produced and today it has been transformed into a catering facility. A perfect opportunity to gain local experience with local delicacies and a glass of domestic wine. It should be mentioned that Murter is an island rich in figs. Many trees are located right in the center of the city, more precisely on public areas so if you find yourself there feel free to pick up a fig to refresh yourself. One of the best ways to document all the beauties of a destination is photography. To capture the most beautiful photos that will amaze your closest ones you should climb to one of the many hills that hide a unique view. It should be noted that not all the pathways leading to these viewpoints are well arranged, and the best and easiest way to get to one is to ask the locals for directions. The first sight to visit is at the same time the highest peak of the whole island. 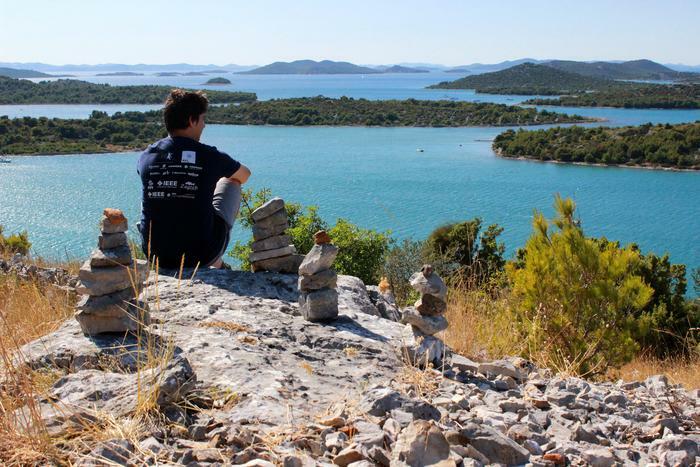 It is about the lookout Raduč, which is about 125 m high. Apart from having a wonderful view which extends all the way to the Velebit massif, you will also be intrigued by tunnels that had an important function at II. World War. The viewpoint on Mount Vršina is also interesting because, apart from the excellent scenes for photography, it is a place where various cultural manifestations are held during the summer months. Venice is famous for its Gondola but Murter has a Gajeta. 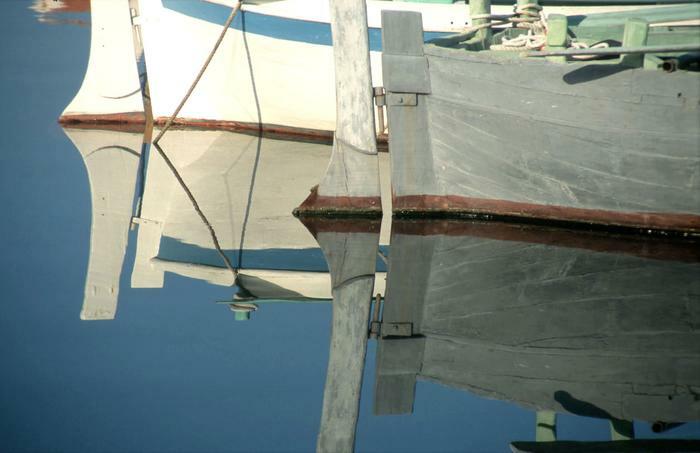 These were the boats that allowed the local population to sail to the Kornati and were primarily used for fishing and cargo transportation. They are one of the few ships that have maintained their exquisite shape and who retained wood as the only material. Gajeta has a sail, but human strength and rowing have been also necessary to control the ship. To discover out the true importance of these ships to the local population you should visit Betina. There is a protected cultural history museum that will reveal many secrets of traditional shipbuilding but it will also introduce you to its modern trends and technologies. Because of the crystal clear sea, Murter is a real bait for all swimmers. The beach you have to visit is called Slanica. It is also the most famous beach on Murter, whose yellow sand and turquoise sea make the perfect combination for summer vacation. Since the beach is popular you can expect crowds, but if you need more private places you can go to the nearby rocks above which the pine forest provides the shade from the hot summer temperatures. The beach is suitable because there are many parks suitable for children and also restaurants or bars where you can go if you need a refreshment.